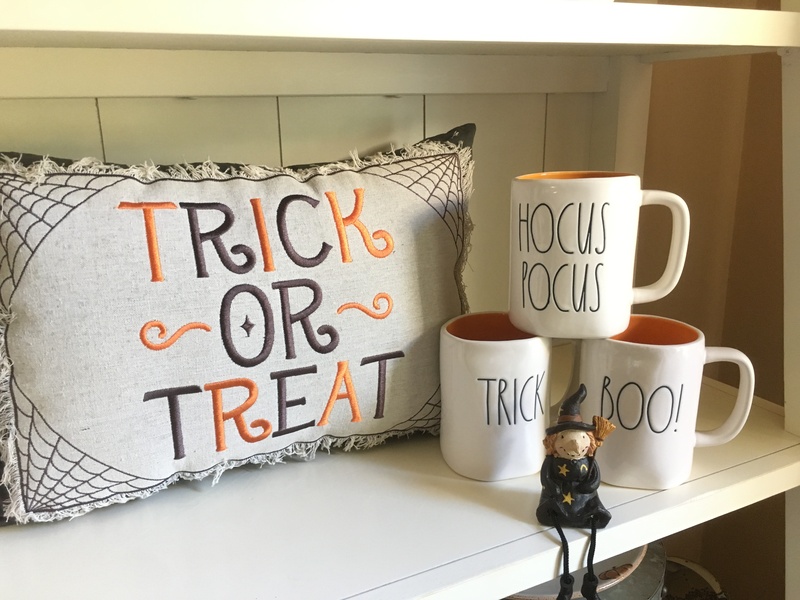 Halloween & Fall are the best time to decorate your home. 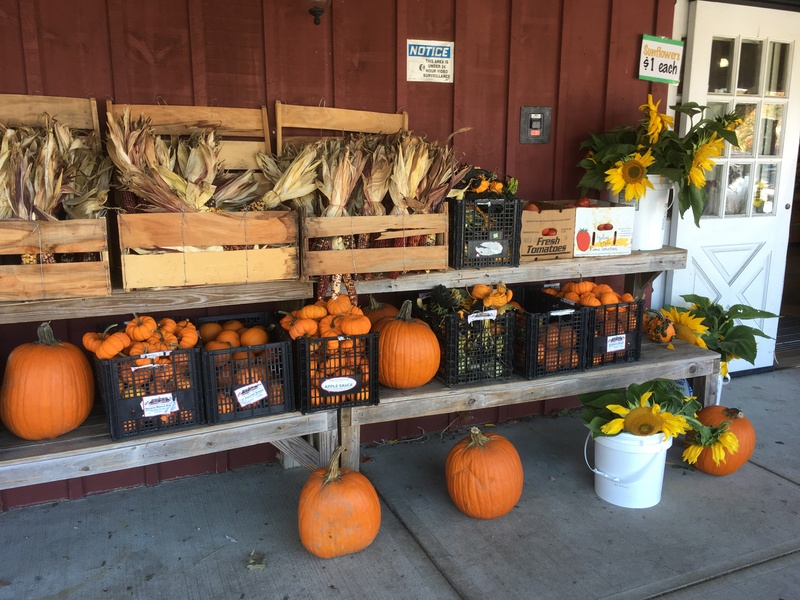 Its such a gorgeous time of year here in New England with the crisp fall air, pumpkins galore & the sweet smell of apple cider. 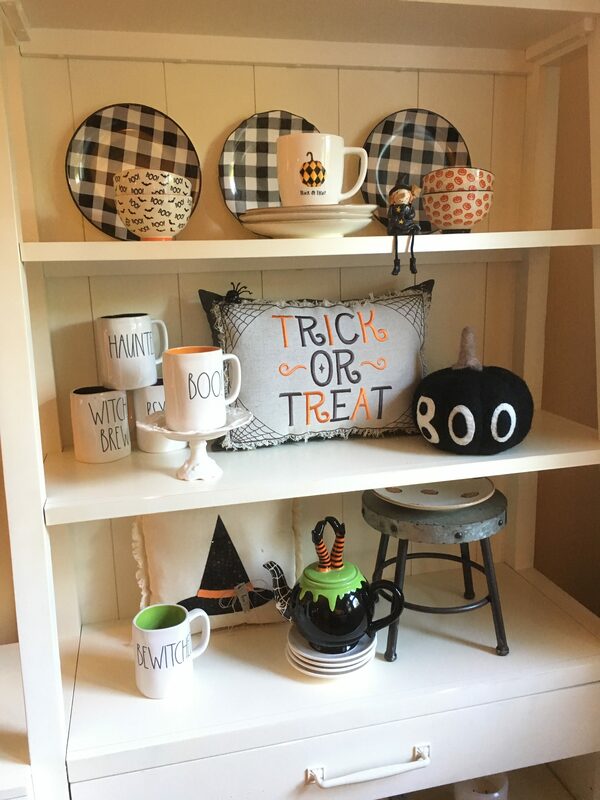 Here are some Halloween Bookcase Display ideas to get your Spooky on! 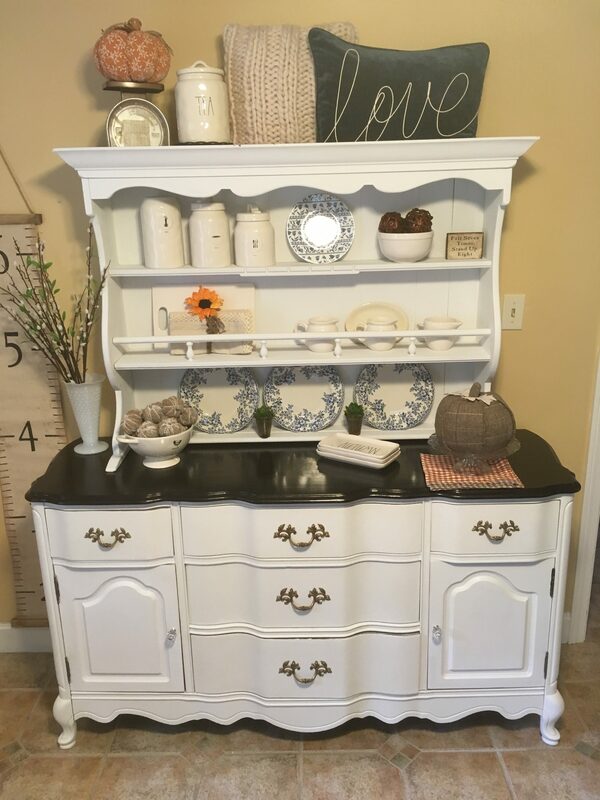 I just love Buffalo Check it goes with everything! The middle plate is actually from a different collection so don”t be afraid to mix & match what you have. Who says Halloween only has to be about orange? 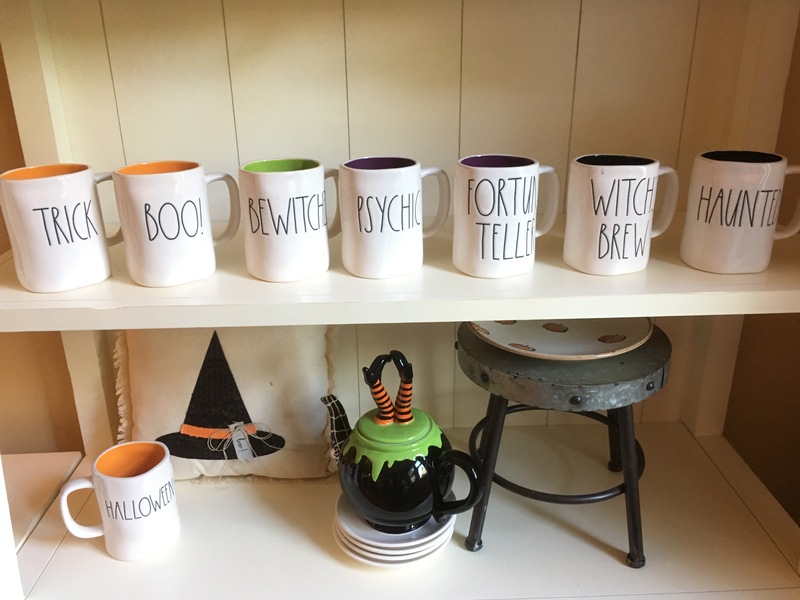 Here I used my colorful Rae Dunn Halloween mugs to set that spooky mood! 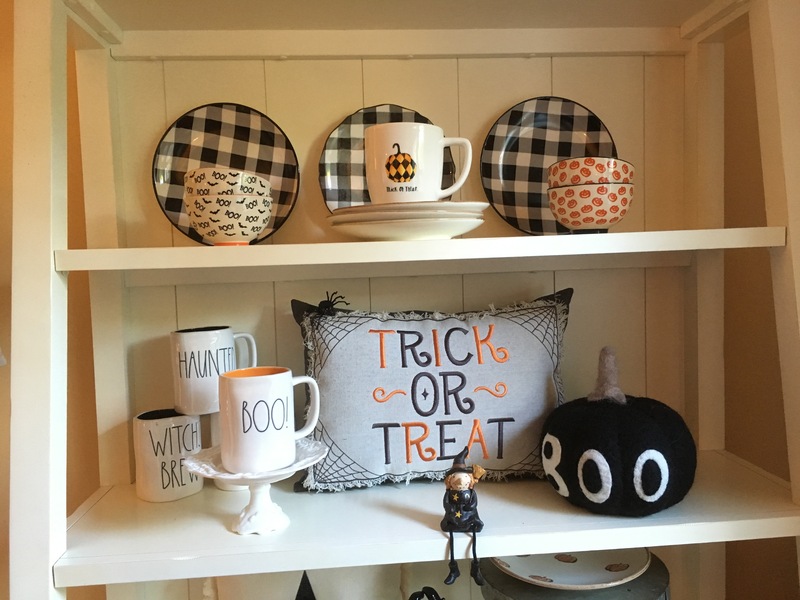 These fun pumpkin plates are the perfect drop back for a fun shelf display. I added a cute kitchen towel & spider pin. Kitchen towels are a great way to decorate without spending alot of money & they have all kinds of fun ones at the stores. How sad does this bookshelf look? I had to pull out all the halloween goodies to cheer this guy up. This cart is on wheels so its great to move around different rooms depending on the season. 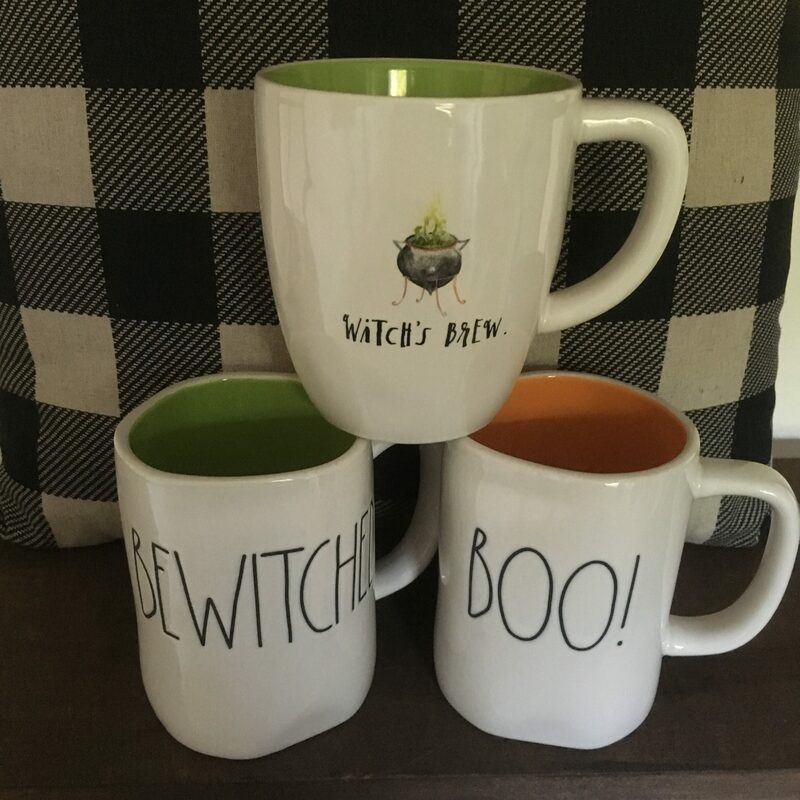 I added various items to bring my Halloween cart to life. 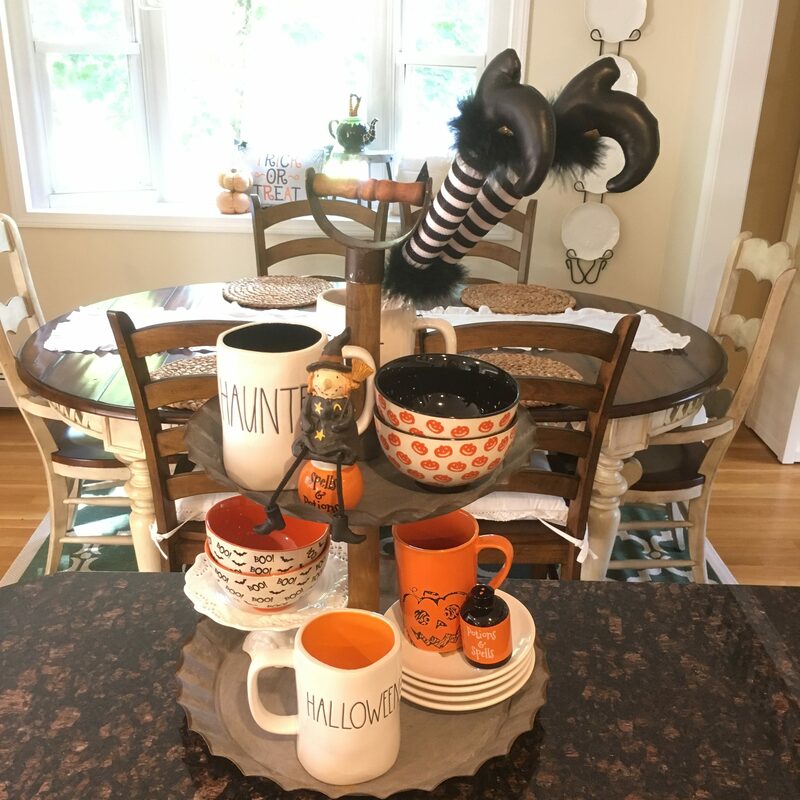 A cute Halloween coffee tumbler & Halloween globe became center stage. Don’t be afraid to mix & match different items there are no rules its whatever makes you happy. Scary happy that is, can you say BOO! I love decorating with pillows. Pillows are definitely not just reserved for your sofa. 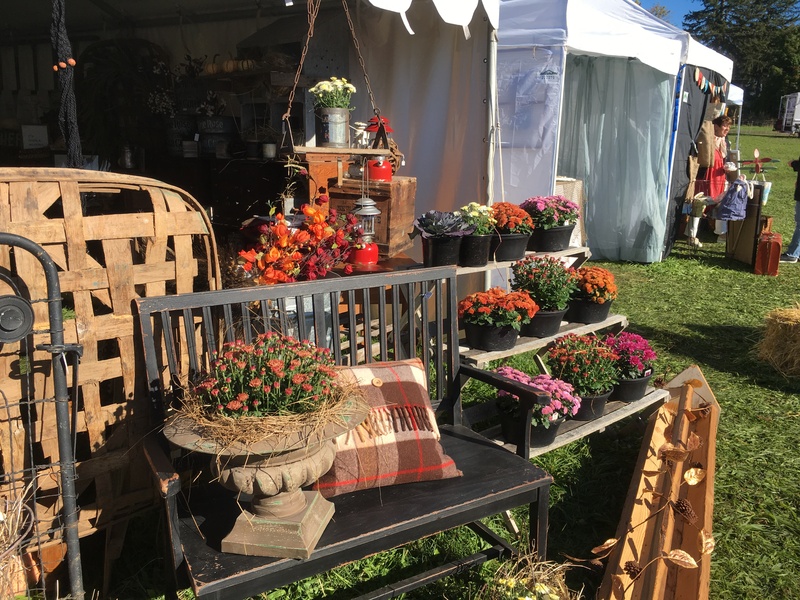 You can tuck them behind a shelf display, you can leave a pillow on its own. Now a days they have pillows with all kind of shapes, sizes & sayings. This trick & treat one is my favorite go to pillow I take out every year for halloween. 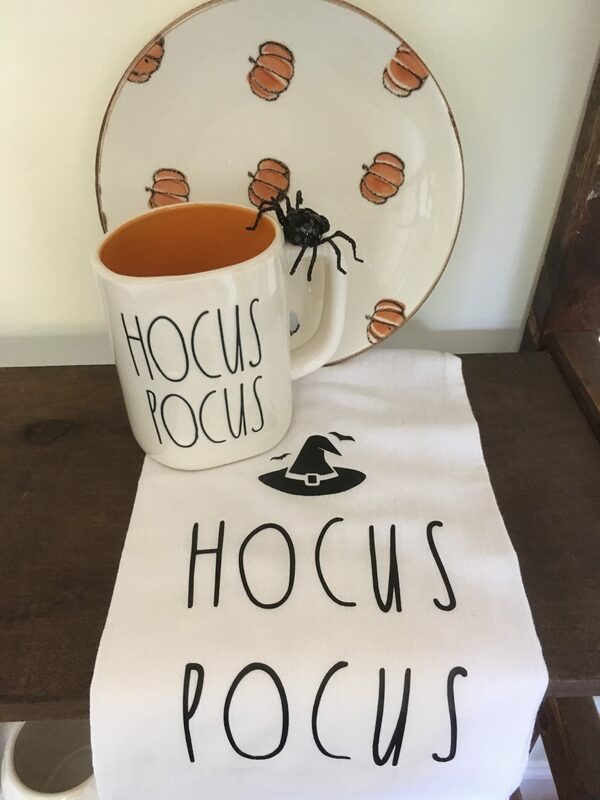 I got it at Kohls they have really cute seasonal goodies! Think Tiered Trays are just for a table? This one I added to the top of the book shelf. 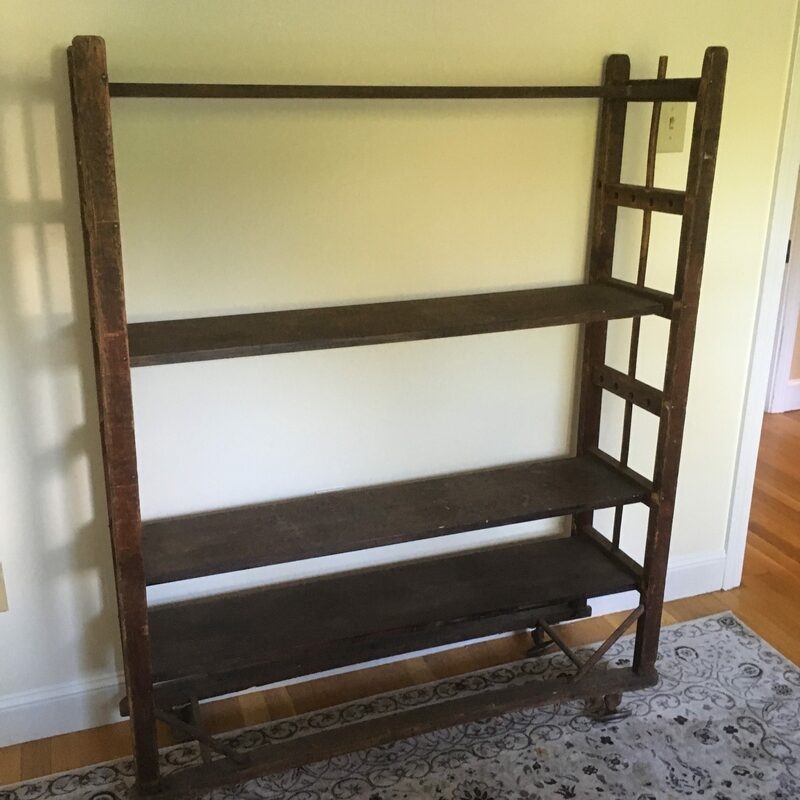 The back of the bookcase allows you to stand up various items to really bring your shelf to life. I like to use neutral colors as a base so I can add my color around the tray. 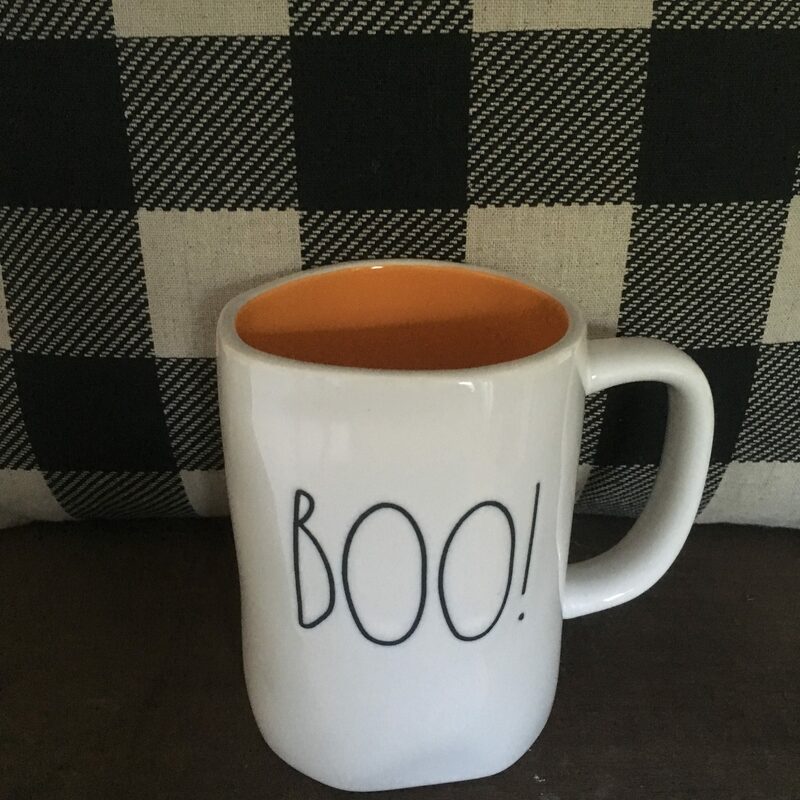 Not feeling all the spooky feels? 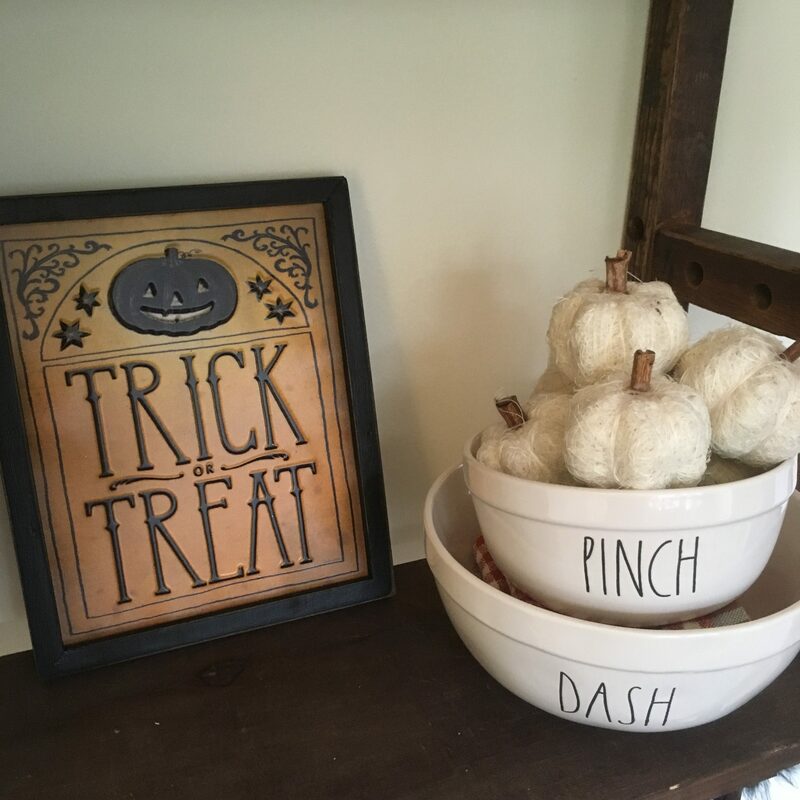 This display I wanted to keep more of a neutral vibe. This is where I keep all my Halloween Candy hidden. Shh don’t tell anyone! As you can see I am following the pillow vibe in here as well. I thought it would be a nice change to use blue with this display instead of just orange. 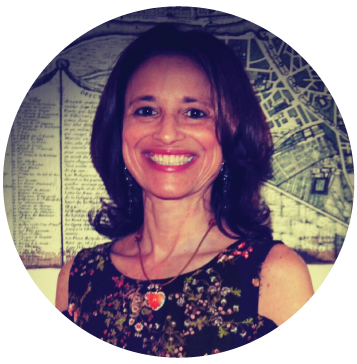 How do I get my inspiration you may ask? 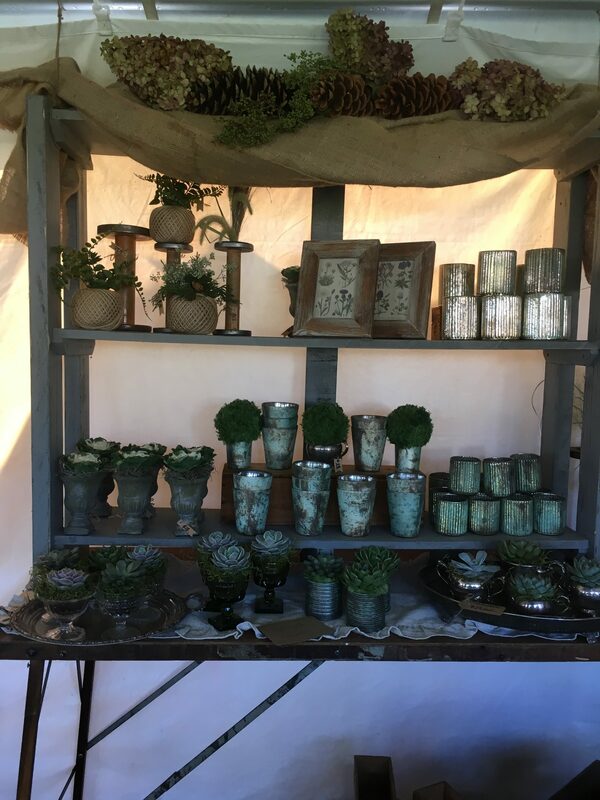 I love going to vintage fairs and looking at the vendor displays. They always have the best vignettes. 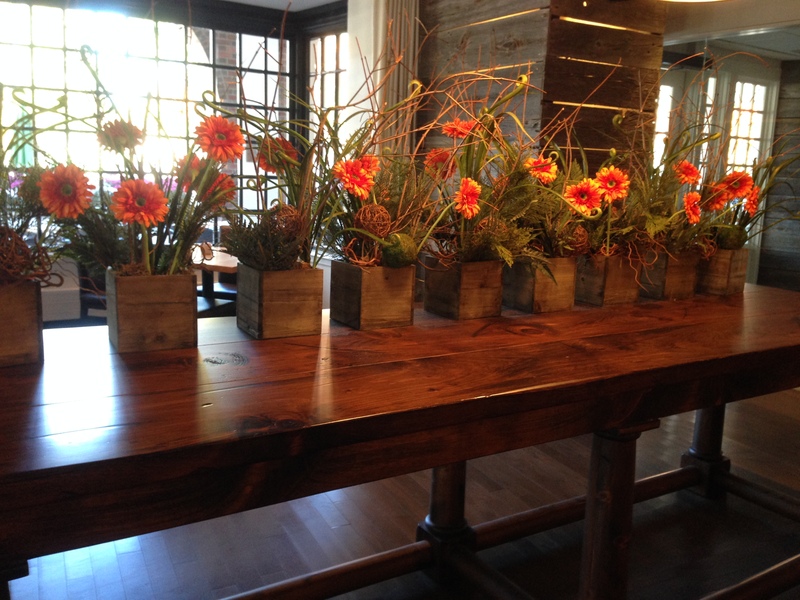 You can have great flower displays inside or out. 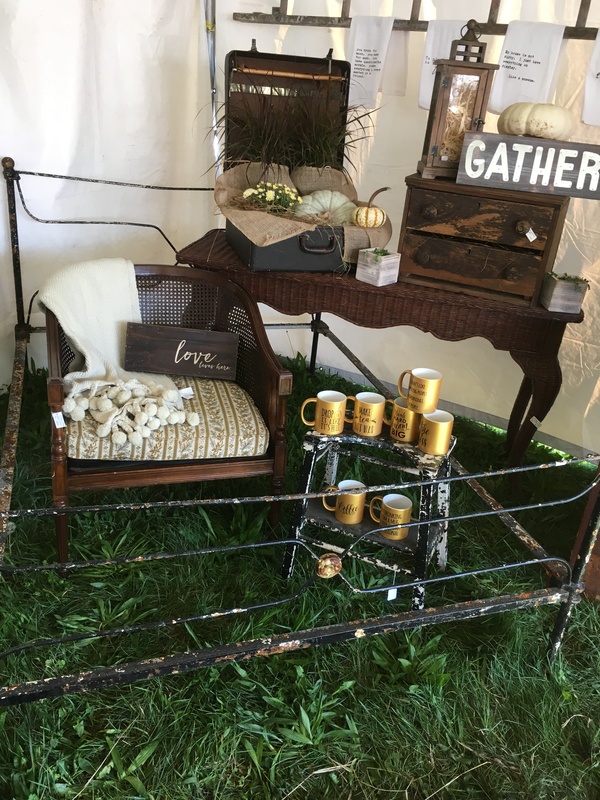 Notice the pillow how it brings this display to life. I mean how cute is this teapot? Do I need another teapot you may ask? Of course not I mean who needs more than one but nowadays the stores are carrying such cute designs why not keep them for your bookshelf display? 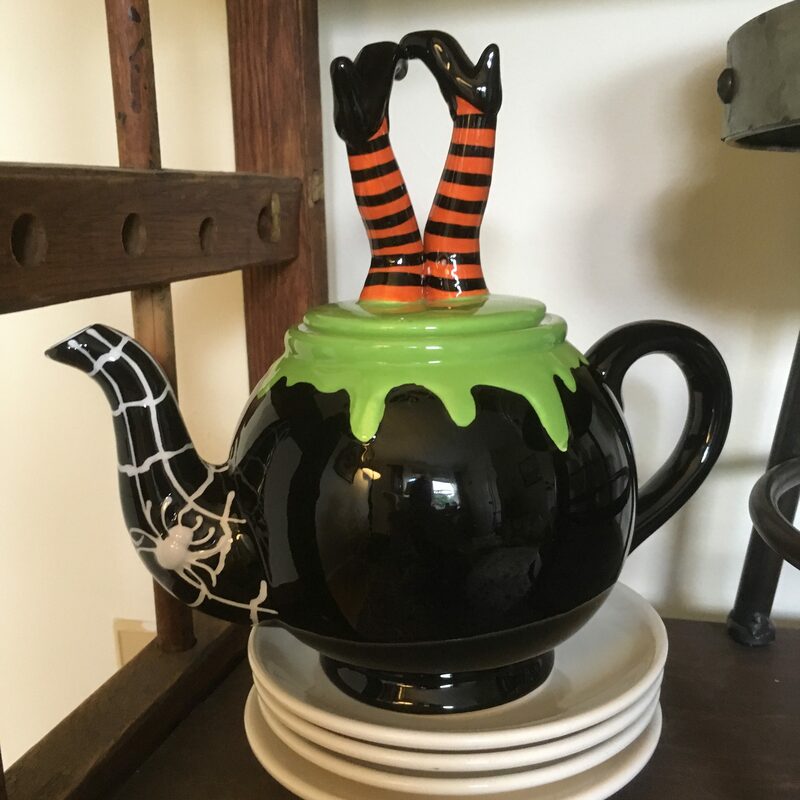 This one is from Homegoods and was only $9.99 it will stay out as a display until Oct 31 and then I will put away until next Halloween. 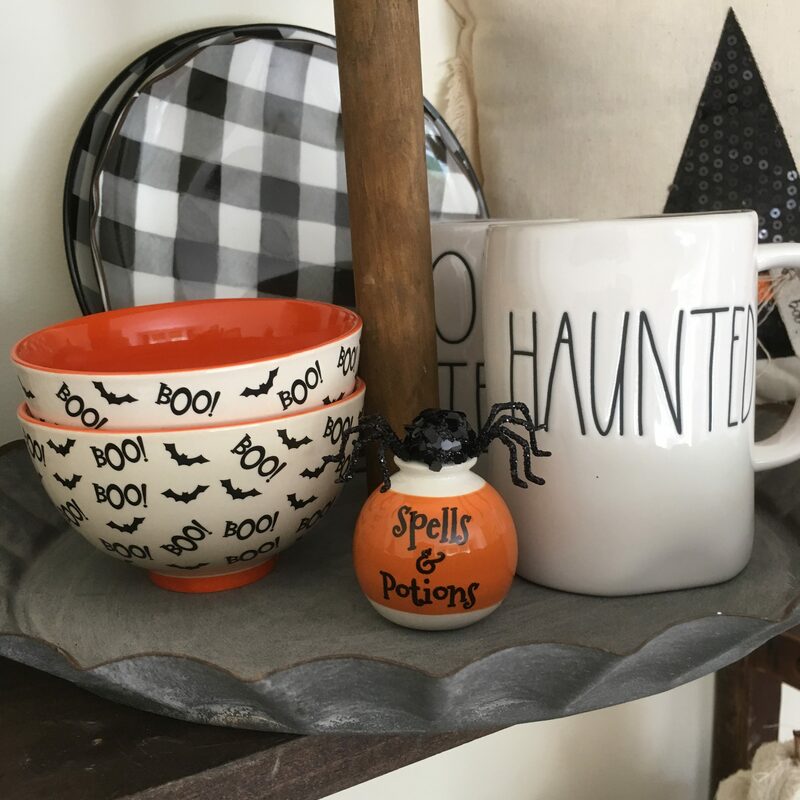 Now there are all kinds of cute Cups, Dishes & Bowls that you can use to bring your Halloween Display to life. I love Rae Dunn so I used them all over my displays. 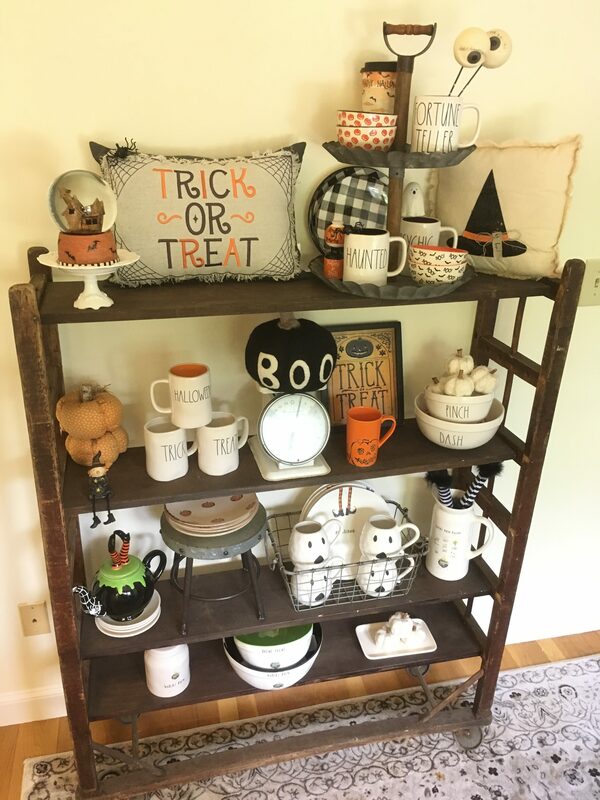 If I use ones that are not with the Fall/Halloween theme I add some Fall festive items to bring in the Holiday vibe I am looking for. Below you will find, spiders, pumpkins & witches feet. 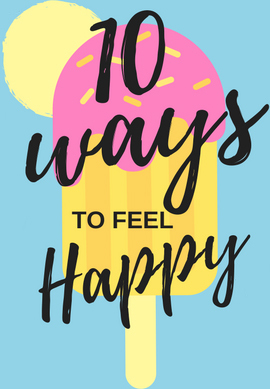 Enjoy what you see? 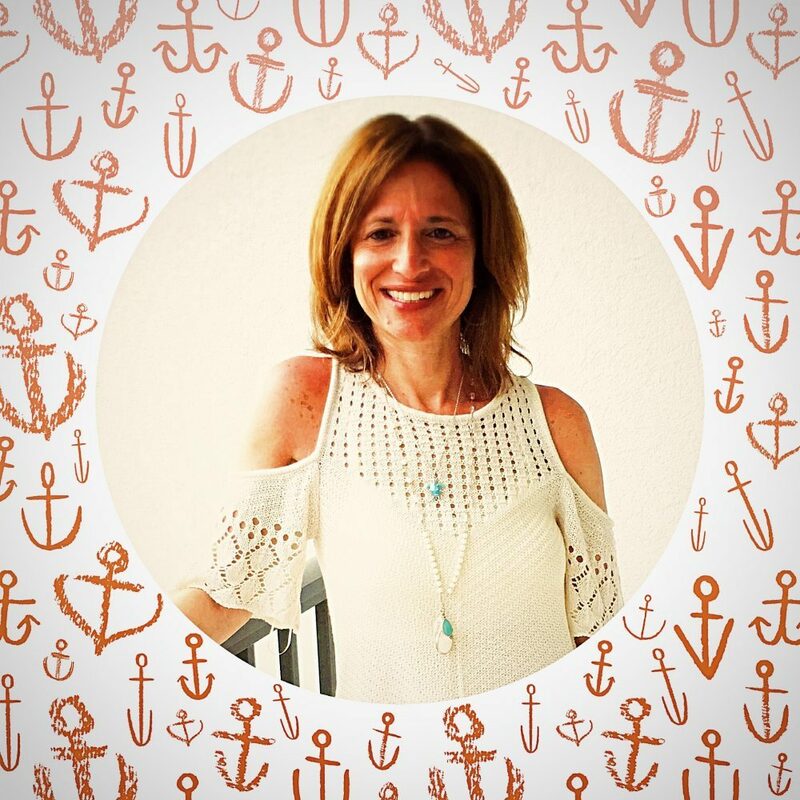 Be sure to sign up for my newsletter & social media sites including Pinterest to get some Decor Inspiration.